A new report suggests that the next flagship smartphones from Apple and Samsung could be equipped with three rear-facing cameras. 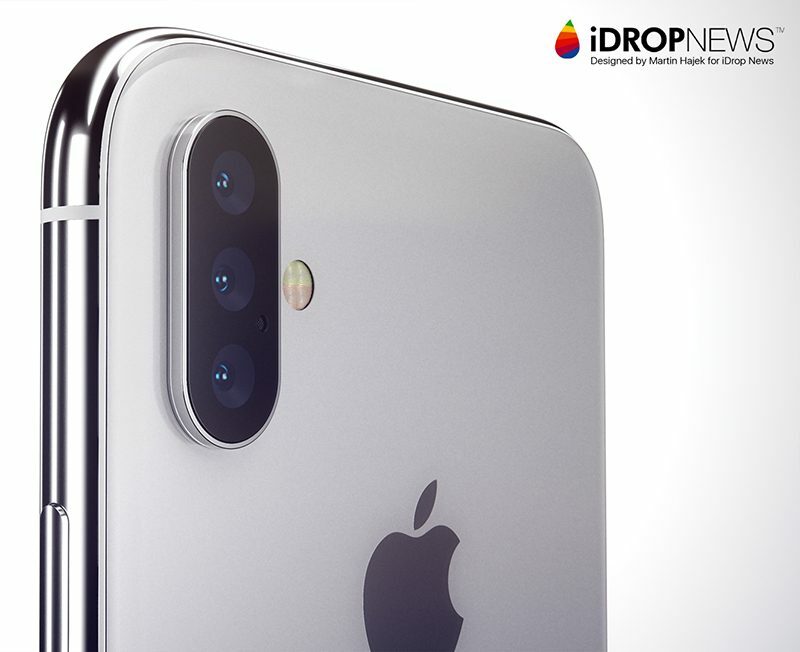 The Korea Herald claims that the so-called iPhone X Plus, the widely rumored 6.5-inch version of the iPhone X expected to be announced this September, and Samsung's next-generation Galaxy S10, likely to be released in early 2019, will both sport a trio of lenses on the backside. Samsung, which has a lower-than-expected demand for its latest Galaxy S9 lineup, will consider to equip its next premium phone with the triple cameras and a 3-D sensor to reinvigorate its smartphone business. One of Apple's next premium smartphones, reportedly named as the iPhone X Plus, is also anticipated to come fitted with three camera lenses on the rear. While this the fourth time we've heard about an upcoming iPhone with three rear cameras, all of the earlier reports have suggested it will be a 2019 move at the earliest, so the chances this is a 2018 move seem unlikely. Earlier this year, for example, former KGI Securities analyst Ming-Chi Kuo claimed the 6.5-inch iPhone will have a dual-lens rear camera. The Korea Herald could be right about the what, but wrong about the when. 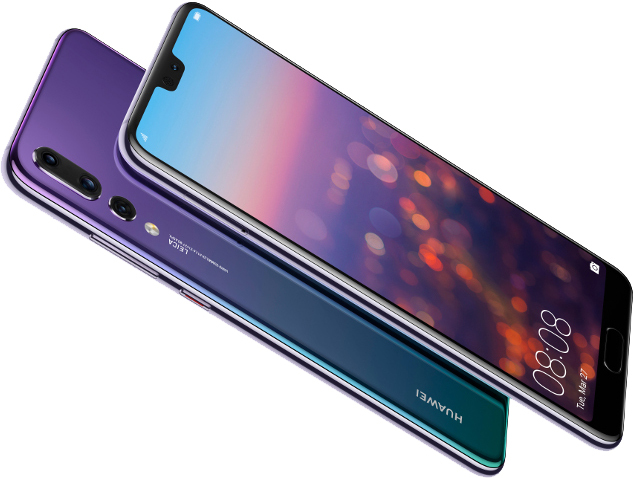 Triple-lens smartphones are only just reaching the market, starting with the Huawei P20 Pro in March, and Apple often waits to perfect a technology rather than rushing to include a feature to compete with the best possible tech specs. In the end, 2019 could end up being the year of triple-lens smartphones, starting with the Galaxy S10 in the spring and the iPhone in the fall. The third lens would likely enable 3x optical zoom on an iPhone for the first time, enabling users to magnify the image in the viewfinder by up to three times without a blurry reduction in quality like digital zoom. iPhone 7 Plus, iPhone 8 Plus, and iPhone X models feature 2x optical zoom for comparison. The three-lens system could also enable advanced 3D sensing for augmented reality, an area in which Apple CEO Tim Cook has expressed interest. Throwing more hardware at us lol how about working on the software so all those "portrait effects" don't look like absolute trash. I make photographs everyday with my iPhone and welcome "hardware," such as an additional lens, which provides more opportunities for making better photographs. With respect to portrait effects...it sounds like you don't understand who Apple's audience is. And that's causal shooters who make photos of their friends and family and know next to nothing about making portraits nor having the lights, modifiers, etc to do so. smartphones from Apple and Samsung could be equipped with three rear-facing cameras. Anyone else feel like the number of cameras might end up being like the number of blades on a razor, there is never enough of them. It's almost like more cameras need more space, and a physically larger model allows for that. What does "unwasted power for nothing" mean? For photo/video guys like myself, we're going to buy a DSLR no matter what. For the everyday consumer their phones ARE their cameras. So to them its all about convenience. And to be frank I take pictures more often with my phone than any one of my DSLRS. Why? Because the best camera isn't necessary the one with all the bells and whistles, the best camera is the one that you have with you. Think about that one. It's funny that when Apple waits for the competition to do something first they are waiting to "perfect" the feature, but then if the competition waits for Apple to do something it's just a clone. Having said that, please do not start cramming more cameras on the back of the phone just to add different zoom levels or focal lengths, this is the most ridiculous escalation of a superficial feature. If your CCD and software are good then you don't need separate physical cameras and lenses to achieve the same result. If you want to do REAL photography, get a real camera, period, don't turn the phone into an unwieldy mechanism to take pictures because it has a dozen lenses on the back. The iPhone is a real camera. Thats it folks. Timmy's idea on innovation is adding ANOTHER lens. Then in about 2 more years it will be Ooooh Four lenses. Cant innovate my a** is right.